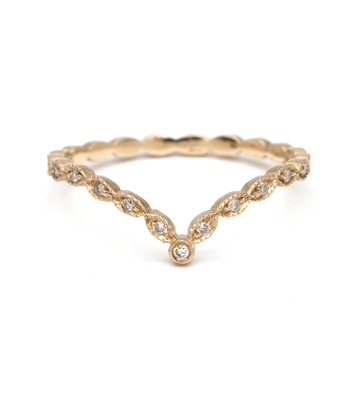 Sweet, Bohemian, Chic. 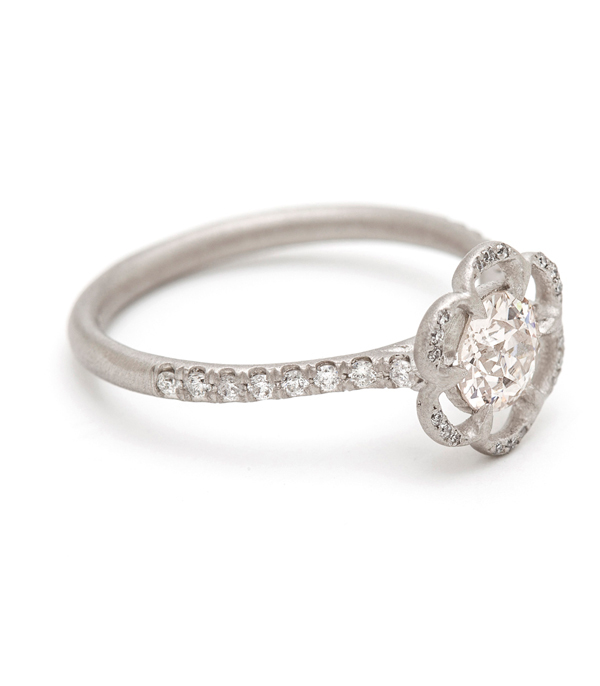 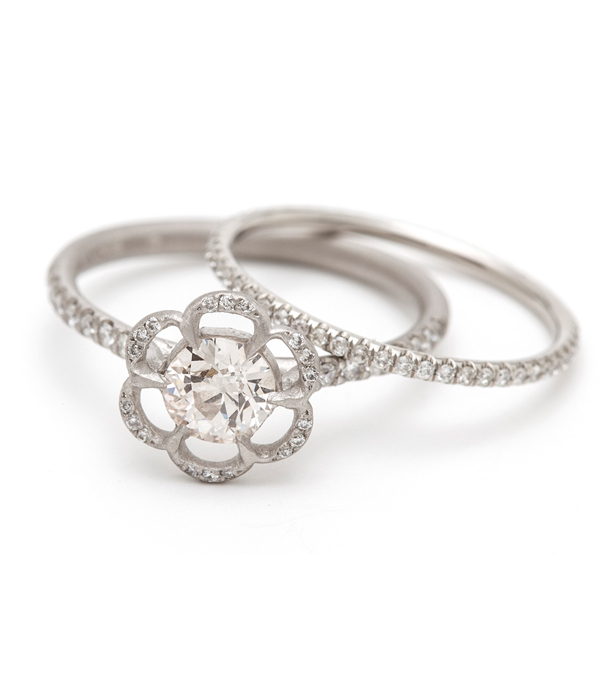 This 14K lacy flower engagement ring embraces the perfect amount of girly sweetness alongside an equal dose of cool sophistication. 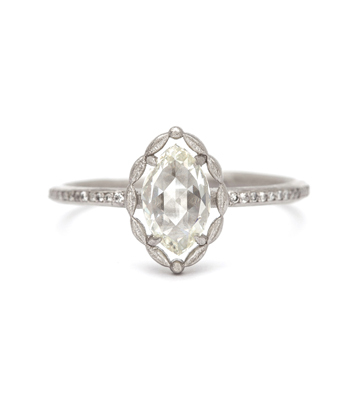 For the bride who loves a blend of vintage and contemporary style, this solitaire features a half carat brilliant cut diamond center and 0.20ctw of diamond accents along the lacy petals and band. 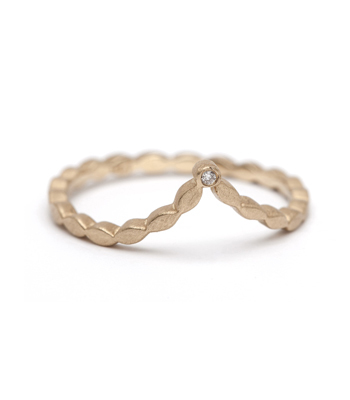 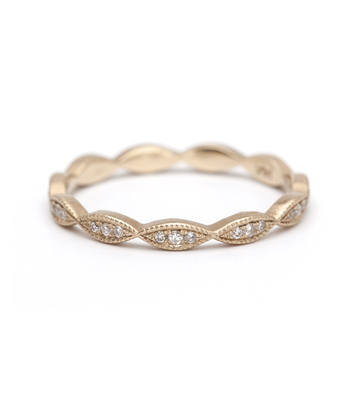 Stack this ring with our diamond eternity bands for a more refined look or pair with textural twig branch rings and show your bohemian flair. 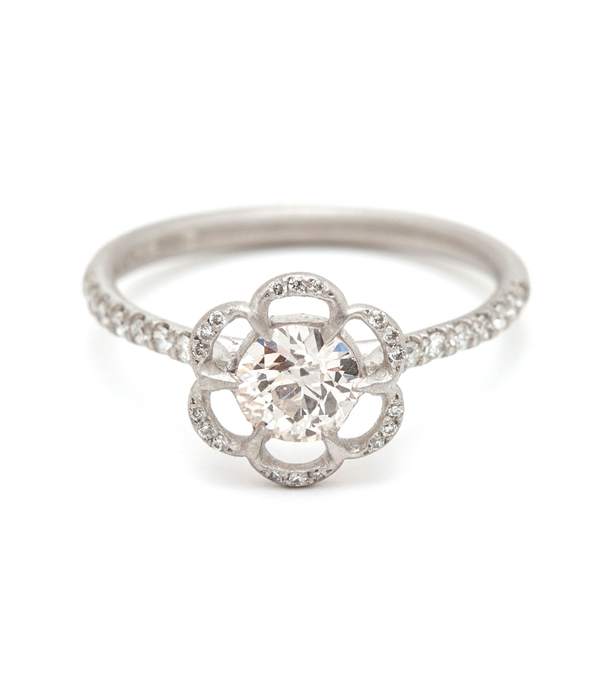 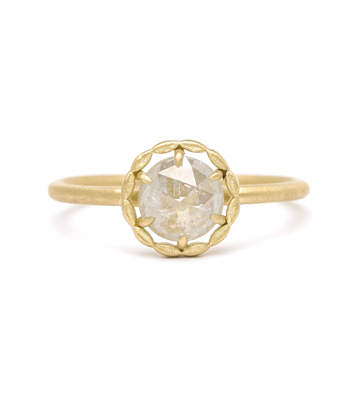 Either way, this unique engagement ring is loaded with charm! 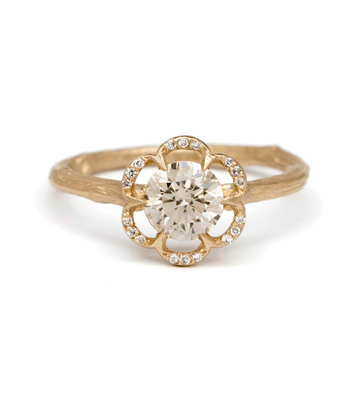 Categories: All Engagement Rings, Bohemian Elegance, Rings, Vintage Romantic.